Baltimore is full of history, icons and stories. This listing is for one of each of the Baltimore neighborhood cards. It does not include a Greatest City in America bench card. 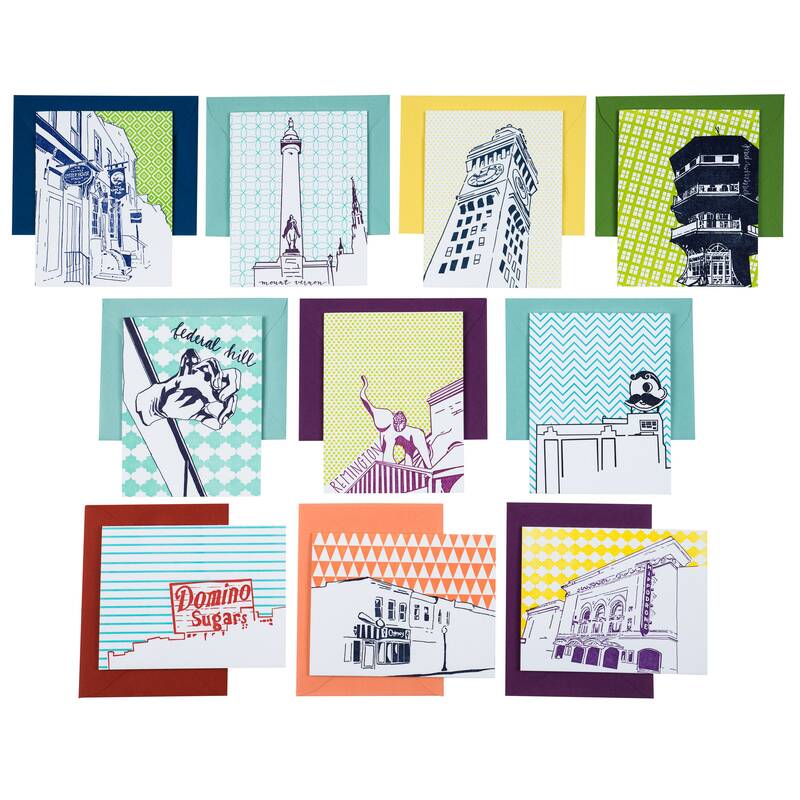 Each card is 2 color letterpress printed and illustrates a different part of 10 unique Baltimore neighborhoods. There is a geometric pattern in the background and a short blurb on the history of the building, sign or neighborhood on the back of the card.